Over one coffee: Happy weekend! 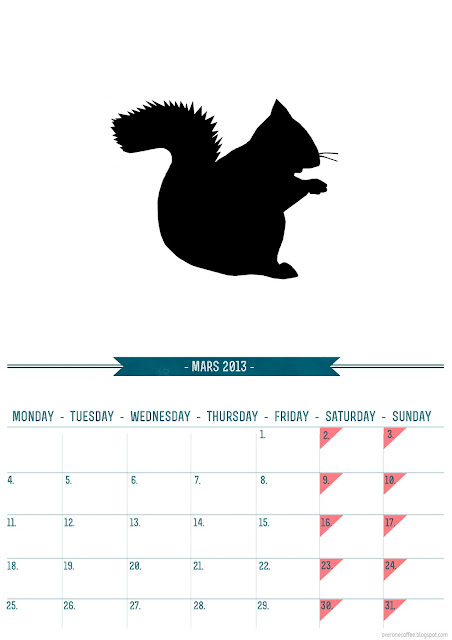 For those who are interested you can print out this A4 calendar, to be more organized in March. You can also download it form my Flickr. Recycle and make something beautiful! Cute song with Emilíana Torrini! The story about little Sue my final project in Multimedia design, fun to look back! I cant get enough of Green Kitchen stories! A fun summer project for your garden!!! This weekend where to be: Kex hostel: beer festival!